Even more new WWE action figure images have been discovered today and there’s some awesome stuff on the way! 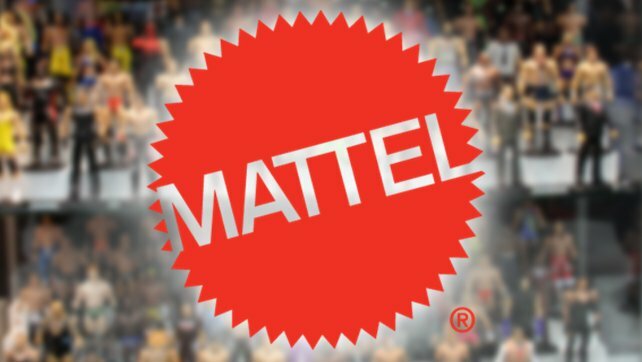 Not to mention The Major Wrestling Figure Podcast teased a satirical Mattel WWE Epic Moments set! Bray Wyatt features a brand-new laughing head scan, which looks pretty nice with Mattel’s new True FX scanning/printing technology. Sonya looks fantastic, too, as this is her very first action figure and the chase black variant looks great as well. You can currently pre-order this set on RingsideCollectibles.com and SAVE 10% with discount code MBG at checkout! They should be releasing in early February! The Major Wrestling Figure Podcast teased a satirical Epic Moments set featuring Zack Ryder’s “Big Push” when Kane pushed him off the stage in a wheelchair. The set teases Kane, Zack and Eve coming together with some pretty comical accessories. Mattel’s Epic Moments series celebrates fun moments from WWE history in action figure form for those new to this series. The next one actually coming soon should be the Ultimate Deletion set with Bray Wyatt and Matt Hardy, which features a rideable lawn mower for the figures! For more wrestling figure news and coverage be sure to follow Wrestling Figure News on Twitter!